I've been dying to get these two polishes on my nails from the day they arrived. 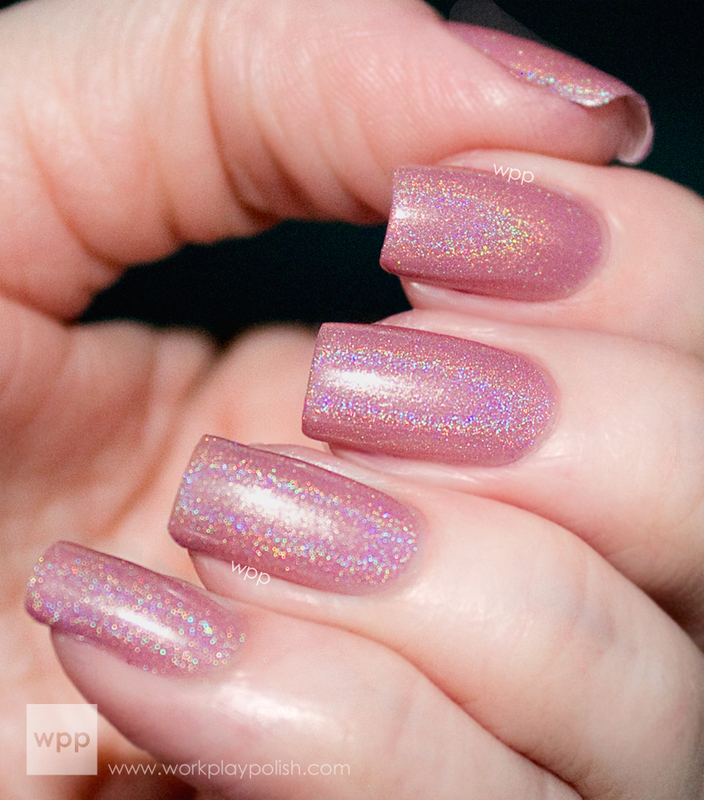 Crushed Ego and Blush are two amazing holos from the Australian brand Glitter Gal. Created by Kerry, a makeup artist, and Anna, whose background is in creating/supplying "private label" cosmetic products, the two friends set out to make a unique and premium line. 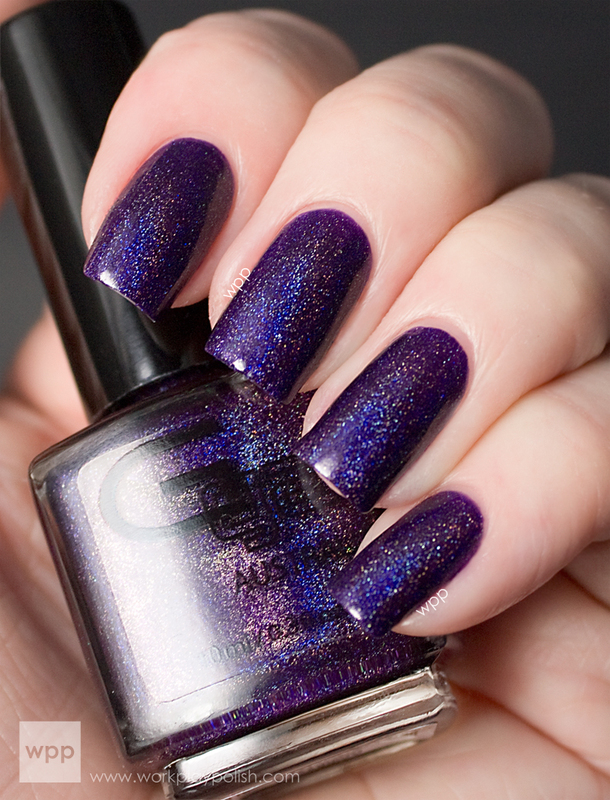 Crushed Ego is a deep eggplant purple with a strong holo finish. The formula was buttery and smooth and I had no issues with application. This is two coats and no topcoat (per Glitter Gal, no topcoat is required). Of course, my luck, I'm swatching holos so there was no direct sunlight to be found. I took the next photo with the flash on...but it doesn't do the holo justice. Blush is just that...a soft blush pink. 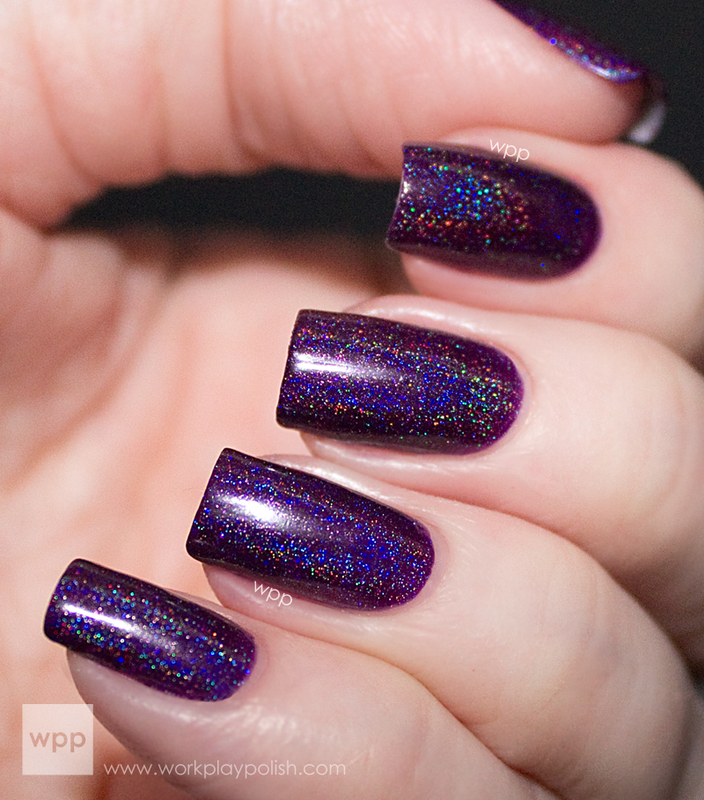 The holo was a lot stronger on this shade than I anticipated...really amazing. Application was again a breeze. My swatch is three coats with no topcoat. I really love this one because it's snazzy, but I can still wear it to the office. In fact, I wore this one for three days which is unheard of for me! And here's a shot with flash. Glitter Gal polish comes in two sizes, 15ml which is boxed in premium packaging and a 10ml size. All of their products are BIG3 Free, cruelty free and Vegan friendly. You can shop online at the Glitter Gal site (they ship internationally) or purchase from retailers worldwide. Visit their store locator to find one near you. You can also find the Glitter Gal brand on Facebook and Twitter. Or join their mailing list to get info on new releases and giveaways. So what do you think? I love holos so these are a big hit for me! !